Speech Pathologists are health professionals specialising in communication and swallowing disorders. What do Speech Pathologists evaluate? Speech (articulation) – speech may be assessed at the level of single sounds, single words, sentences and during conversational speech. 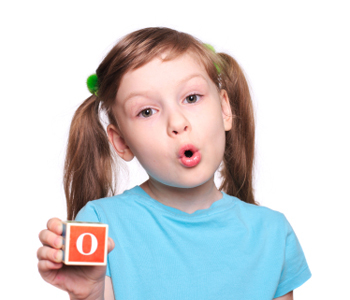 Oro-Motor Skills – close evaluation of movement and muscle tone in the jaw, cheeks, lips and tongue, of the structure of the palate, teeth alignment and the tonsils. Voice – evaluation of the tone, pitch and volume of one’s voice. Tongue Thrust – this is a behavioural pattern whereby the tongue protrudes between the front top and bottom teeth during speech, swallowing and/or when at rest. Assessment of clients presenting with a tongue thrust will include evaluation of both speech and swallowing. Who might need a Speech Pathologist? It is noted that Speech Pathologists work closely with other medical and educational specialists, so that we may provide the best possible care. Ear, Nose and Throat specialists are likely to be important members of the team for clients with speech, oro-motor and voice difficulties. Orthodontists are likely to be important members of the team for clients with tongue thrust and speech difficulties. Developmental Paediatricians are likely to be important to clients experiencing difficulties in all areas, but in particular, those experiencing difficulties with literacy and learning. Clinical Psychologists are important in gathering information about a child’s strengths and weaknesses in both verbal and nonverbal spheres, enabling us to be better informed as we plan interventions. Occupational Therapists, are very important too, of course! They can help children with low muscle tone and motor planning difficulties better manage work and play. OTs can help with handwriting difficulties. The can also work on visual processing skills, which supports comprehension abilities.